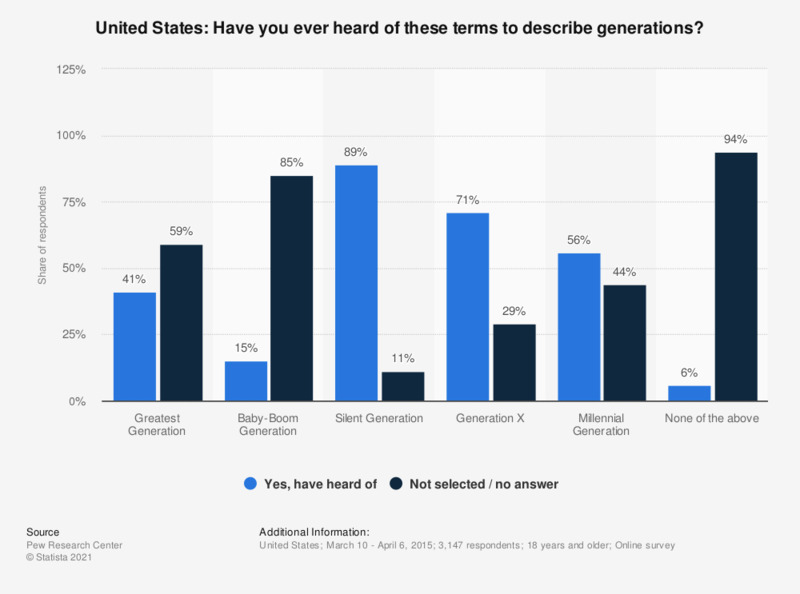 This statistic shows the results of a survey completed in 2015 that shows whether Americans have heard of varying generation labels. In 2015, 85 percent of respondents had not heard of the Silent Generation while 89 percent of respondents had heard of the Baby-boom Generation. This question was phrased by the source as follows: "For each of the following terms, please check the box next to those that you have heard of before. If you are unsure, do not check the box."